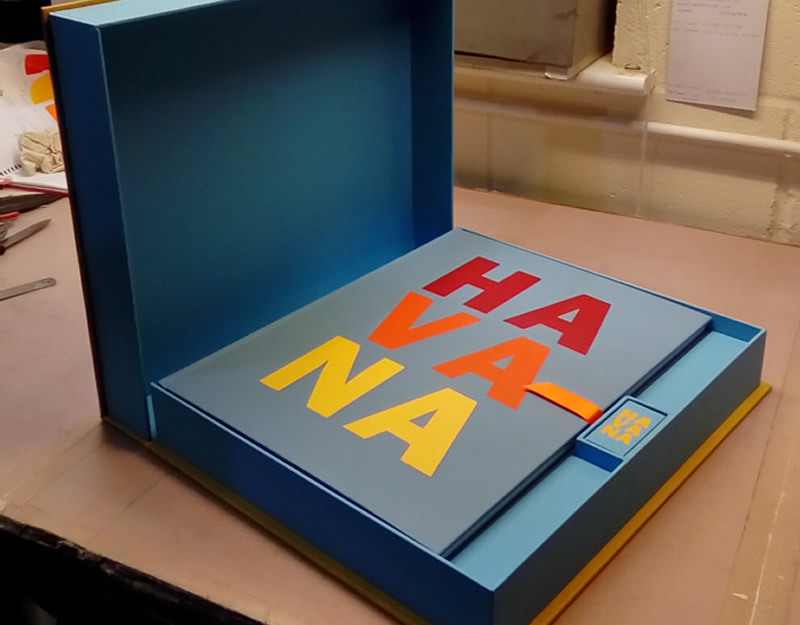 This is the super deluxe images of Havana by Leslie Gerry. Each leaf is printed on hand made paper. We crease each leaf, inesrt to 8pp ,hand sew and line, just gluing the calico so the glue doesn't seep in between the images. The book is just smaller than A3 we made a full leather case and we have inlaid in multi coloured leathers to create the title.